I don't know about you but I've never seen this before. Isn't it a good idea? 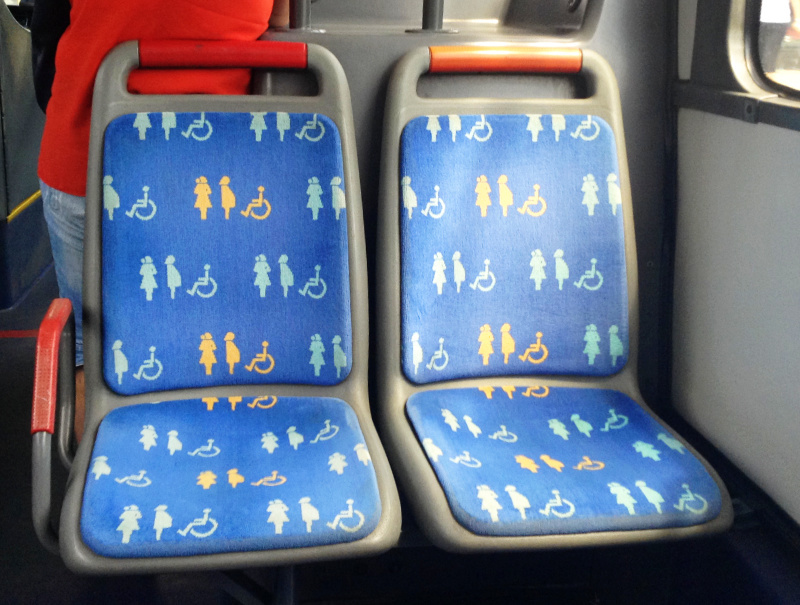 Who needs signs exhorting people to give up their seats to pregnant women, mothers with small children and people with disabilities? The upholstery on this bus which we took to the shrine of Bom Jesus just outside Braga says it all. I use public transportation all the time in the UK and haven't seen this upholstery here. Perhaps it's used in other countries. As you say, an idea worth copying! I'm glad you thinks so. Good ideas should be spread around. I hope to find other good ideas in Portugal and to write about them.